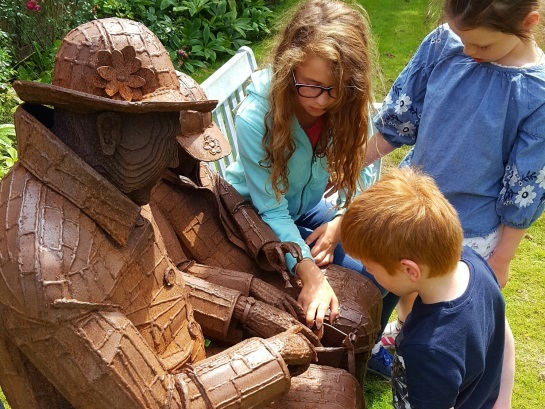 After a recent visit Eva Holman kindly sent through the below blog… We hope you enjoy reading it as much as we did! 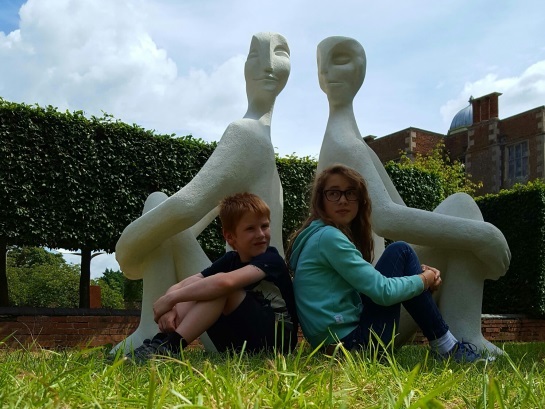 My children and I thoroughly enjoyed many hours here today (Sunday 31 July) not only discovering and admiring the wide variety of sculptures, but also the beautiful gardens in which they are hidden. We explored through the trees, and wandered idly through the grounds. My children particularly loved looking at all the different plants in the walled garden and measuring themselves next to the enormous sunflowers! It is the perfect place to spend a day with your children, and I advise getting disposable cameras for younger ones. It is wonderful to see which sculptures in particular appeal to them. My daughter’s favourite being the bear! So much so that she didn’t want to leave him! We will be back many times during the summer holidays.